If there is a mecca in this universe for the richest of the richest, that place would have to be be Dubai. We have already extensively told youwhy the people of Dubai are collectively the richest in the world, but here is a short and simple refresher course for anyone who missed it or is new to this party. The biggest misconception (that may be somewhat racially or geographically motivated) is that every person who is rich in Dubai has achieved their riches because of oil. People seem to assume it’s like the movie There Will Be Blood, only with every single character getting filthy rich instead of just one. But that is not the case. Most of Dubai’s wealth comes from real estate, airlines, and ports. Honestly, that is not the discussion point here. 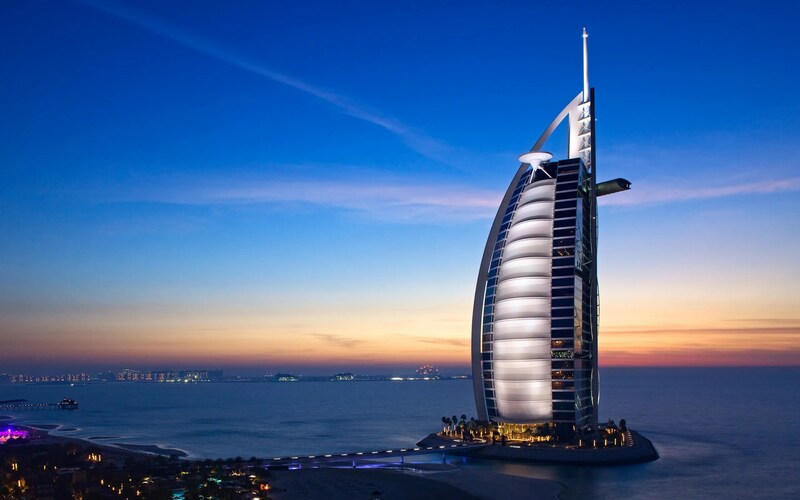 This article will focus on some of the remarkable tourist locations and spots in and around Dubai we all wish we could visit but probably can’t because our measly salaries rarely afford us such luxuries. Think of this article as the equivalent of us being homeless and sitting outside a really fancy restaurant, watching people eat nine course meals through the window while we drool. Yeah, it may be a little sad, but some of these places are insane and only a fool would not have at least a small desire to witness their majesty in person. 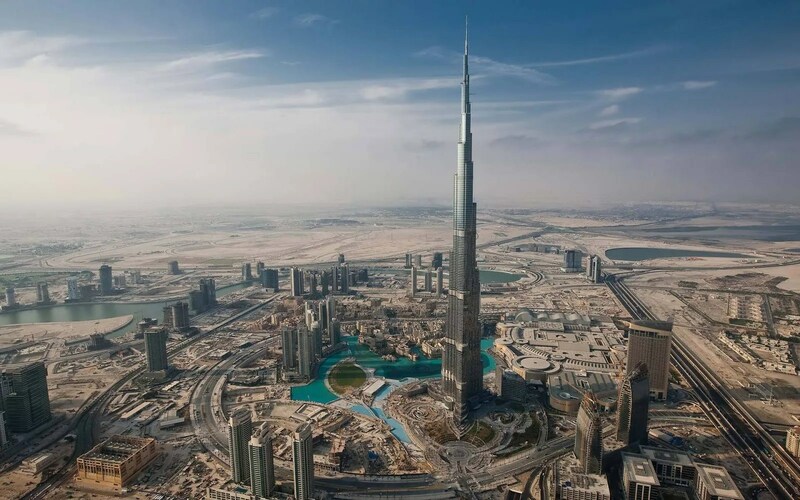 Here are 10 places in Dubai we all wish we could visit, but will most likely never be able to. Thank goodness for photos, huh? Hey, do you like skiing? Well, bad news. Dubai has desert conditions. Oh wait, who are we kidding? The richest of the rich live there, so of course there is an indoor skiing resort. They just built an awesome mountain range and then built a dome around it. Money, people; it has no limits. Dubai pretty much outdid nature with this winter escape. They even have giant plastic balls you can sit inside to roll down the mountain. Wow much? This may sound stupid to the average reader, but allow a moment for explanation. Think about how things function in Dubai. Do you think this is actually going to be anything like any mall you have been to in this country? We are not talking about Spencer’s Gifts and a FroYo. Think of the finest clothing, watches and gadgets money can buy. We are talking about a mall so grandiose and massive, that they have shopping festivals there. Yes, festivals of people coming to casually spend millions at a time in one of the largest malls in the world. But real talk, if they don’t have an Auntie Ann’s, they should. Rich or not, warm cinnamon sugar pretzels are the best! This one is a tie because both are rumored to be otherworldly in their awesomeness. Not everything on the list will be about excess and gold plated faucets. Some of the things we would all love to do in Dubai include visiting some of the amazing theme parks and water parks that they have in abundance. The greatest of all of these water parks are said to be Aquaventure and Wild Wadi. Seriously, you look at these two places and realize they are bigger than some cities you have been to. When you add the fact that they are filled with water slides and rides, who wouldn’t want to visit them? There is no doubt you have seen countless pictures of Palm Island without knowing what it is and where it’s from. Achingly beautiful to even look at from afar, Palm Island hosts enough amazing places that it could have had a top ten list unto itself. The best way we could explain Palm Island is that scene from Pinocchio when all those kids go to Pleasure Island and get to do all that cool stuff before they turn into donkeys. This is like that, only you don’t turn into a donkey (supposedly). We don’t know anyone who has actually gone, so we cannot confirm or deny this fact. One of the craziest things about Dubai is how the city does what it wants, regardless of limitations. To expand a little, they wanted to ski, so they built a mountain to ski on. In this case, they wanted a sick hotel and resort in the middle of an island, so what did they do? THEY MADE AN ISLAND. That is the kind of cajones Dubai has. It simply does what it wants. Just how visually stunning the Atlantis looks should be enough of a reason to visit, but of course, there’s more. Remember Aquaventure we mentioned earlier? That is on this man-made island and resort. All that needs to be said here is this is the world’s only 7-star hotel. Yes, you read that correctly. It has 7 stars. No, it is not weird you thought the scale only went to 5. A great many of us who will never know these luxuries were under the same belief system. So apparently this hotel is nice enough that they added a 7th star to the scale just so people could compare it. So in that sense, it is 2 stars nicer than the nicest place any of us will most likely ever stay. How humbling. Imagine a place that acted like the proverbial center of Dubai; a place you could go to get all the fantastic food and culture and stunning architecture, all at once. In essence, that is Global Village in Dubai. It also gained it’s name for being an international shopping center of sorts: they have goods and wares from all over the world. That, the jaw-dropping firework displays, and thrill rides galore have made it a must-see destination for that one time you never visit Dubai. Not be confused with the rapper who smokes a ton of weed, Wiz Khalifa, the Burj Khalifa is the tallest building in the world. It is basically Dubai’s most prominent and recognized building, meant to cast its giant financial shadow over all the other smaller buildings of the world. Again, quite humble. This tower is also well known for being the one Tom Cruise ran across (for real) in Mission Impossible: Ghost Protocol. You know how some tourist attractions have water fountains that shoot off to music or display amazing light and color shows? Often found in Vegas, they are easily detected by the stupid tourists running through them with their selfie sticks. But all the mystical water fountains in all the world pale in comparison to the Dubai Fountains. Rather than explain how these things are as majestic as a fleet of unicorns, just see for yourself. Not too shabby. They somehow purchased the soul of Michael Jackson after he died and injected it into a giant water fountain. That last sentence may not be true. Some people may think really tall towers win out over our number one entry, but a really tall tower is just a really tall tower. It’s cool, we get it. But Sega Republic is like some dream a nerd had one day that somehow actually became a reality. Imagine an indoor entertainment complex that is ten times cooler than Disney World. From giant indoor slides to rides to video games to giant dinosaurs fossils, the place just looks like it woiuld be great fun for everyone, without ever running out of things to do. And yes, for you retro nerds out there, Sega refers to the gaming company whose mascot was Sonic the Hedgehog. There are human sized blue hedgehogs running around the place. If that doesn’t sell you, nothing will. At the end of the day. it’s not about the tallest tower or the most expensive mall. 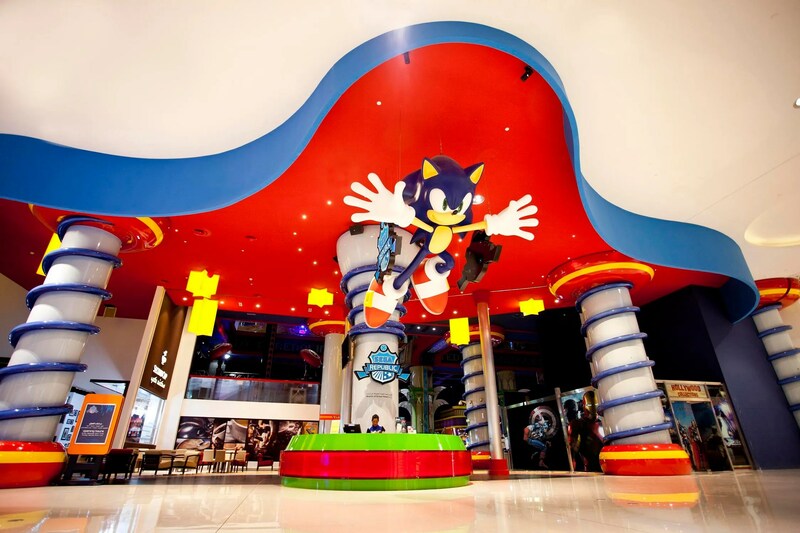 It’s about the place where the most people would have the most fun, and Sega Republic stands tallest among these giants.